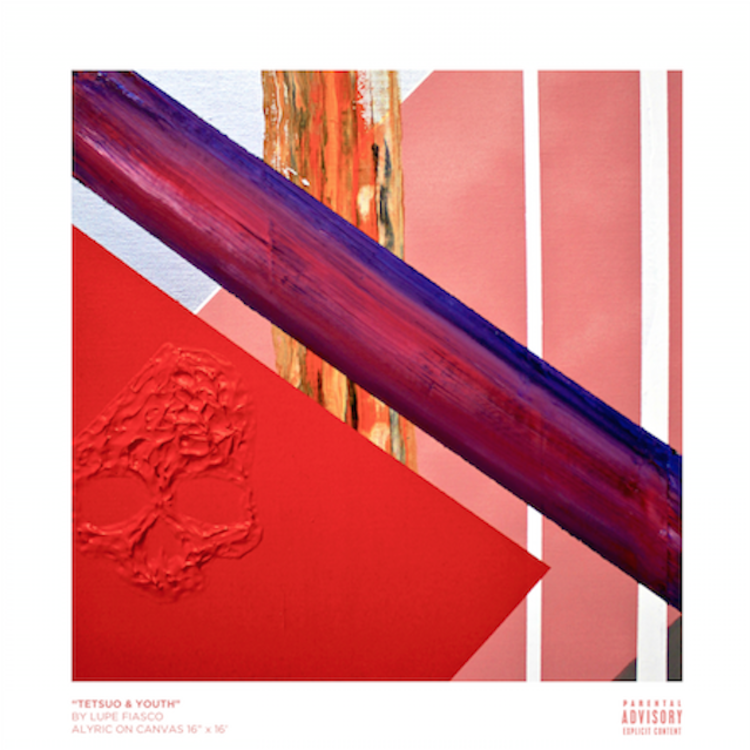 Here we go with one last record from Lupe Fiasco, as we anticipate his new album Tetsuo & Youth officially dropping tomorrow! A few days back Lupe hit us with the premiere of "Murals" and he's back again with "Chopper," a hard-hitting record with production from the talented DJ Dahi. This is the second time we've heard Dahi x Lupe connect on Tetsuo & Youth, they also worked together on an earlier leak (which caused a bit of controversy) "Adoration of Magi." This one's got an interesting line-up, it spans almost ten minutes with appearances from Billy Blue, Buk of Psychodrama, Trouble, Trae Tha Truth, Fam Lay & Glasses Malone. Lupe's hook though. Yeesh. Pre-order Tetsuo & Youth right now on iTunes.